← The xenophobic Europe emerged from elections, is it so also on scholarly publishing? Be proactive with your research and papers,take the lead if possible of the research projects you’re involved, and especially of the manuscripts. If you have a PhD, you are able to lead it (at your level). If you trust your publications in others, they never will do well, there will always be excuses. Take the helm or your papers never will be published. Set the type of journals that you want/need to publish in and go for them. Know your limitations and plan where you want to get. Look what journals are looking for, what kind of research is needed, who their editors are, etc. The important thing is doing good research (data driven), but don’t forget the publishing pipeline, as you need to have projects and manuscripts at all stages of the process: researching, writing, and publishing in journals. This is the most difficult/soft habit, you have no choice but to live with the timing of publication of papers and with your other academic obligations. Take a look back and see what you’ve got, keep it or start changing it if you don’t like it, coming out smoothly of your comfort area. On your own you are going nowhere in this publishing game. Don’t be selfish, in spite of habit 1. Give more of what you get, don’t do balance of who wins if you win something by publishing. Collaborate with other researchers, try to understand managing editors, help them being peer-reviewer or editor yourself. 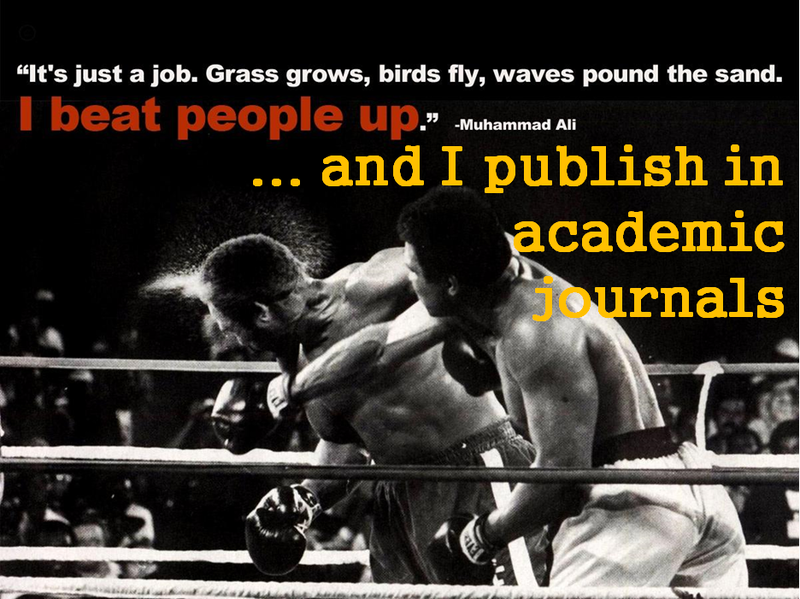 Get out there, expose yourself to the world, and let others know your work and publications. Think also in the transfer of knowledge and build your personal brand. Force yourself to use the academic networks participating in discussions of your field of knowledge, writing blogs, or using the internet tools for researchers. Even if you think it’s worthless, it’ll improve your skills and brand in the medium term. You’re primarily a professor/educator, don’t forget it, don’t forget the classroom. Research and publications aren’t everything. This is a struggle to find the balance between education, research and transfer of results that will make you even a better teacher.